Drivers who are arrested and charged with the traffic offense of driving while intoxicated in New Jersey will have an endless stream of concerns running through their minds. 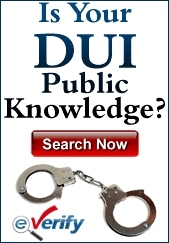 First there are the penalties for being convicted of a DWI. Drivers who are over age 21 and register a blood alcohol content (BAC) of 0.08% or higher will be charged with DWI. The penalties for a conviction on these charges include fines, surcharges, fees, potential jail time and the suspension of driving privileges. If the BAC is 0.10% or higher, the penalties increase. If it is the second and third offense, they grow much worse. Being arrested can be a traumatic experience and will be costly in both the pocketbook and in practical circumstances. Losing one’s driving privileges can range from an inconvenience to sparking the loss of a job. As for money, it costs money to pay all those fees and surcharges, plus there will be the raised insurance rates and the need to hire a DUI attorney. Hiring an attorney in and of itself can be stressful. Many times people don’t even know how to go about it. They’re not sure what to look for and they’re definitely not sure as to how much is a reasonable amount to pay. Some lawyers entice you with free case evaluations that offer you no help. The structure of the payment is also an issue and they have to decide whether or not it is preferable to pay a flat fee or to pay the attorney by the hour. With a flat fee, the client and attorney will agree to an amount – usually a set amount for the kind of case that is being defended – and that is what will be paid. It is commonly paid upfront. This can be a dual-edged sword for both sides. In some instances, the attorney might not have to do a lot of work for the case to be settled and in many, the end result is a conviction. A DWI case can result in an acquittal if there was a legitimate reason why the driver appeared to be intoxicated such as a medical condition. If the police officer made some sort of error when conducting the investigation and completing the arrest, this too can lead to the charges being dropped. If a driver is acquitted and it was a quick resolution to the case as the result of a legal technicality, it’s doubtful that even the most frugal person is going to complain about not getting his money’s worth from the lawyer. The end result is what matters. But if they’re paying a fee upfront and the attorney simply goes through the case, all the “I’s” were dotted and the “T’s” crossed when the arrest was made, there’s little that the attorney can do to help secure an acquittal. There might be a feeling of, “what did I pay for?” from the client. In truth, the attorney is doing many things that the client can’t or shouldn’t do in the case such as speaking to witnesses, poring over records and investigating the arrest. If the case is completed quickly, the client might lament not hiring an attorney on an hourly basis. It depends on the situation and how the attorney views the case. During the consultation, if it is asserted that the officer made a drastic mistake such as failing to wait the legally mandated 20 minutes of observation time before giving the breathalyzer test, the attorney will likely see that the case is winnable. Paying an hourly rate can run the costs up significantly. A lawyer isn’t being paid for the time he spends with the driver discussing the case or on the phone. The lawyer is being paid for the amount of time he is working on the case period. With an hourly rate, the lawyer simply reading the case file and taking an hour to do it will raise the charges. If it is going to be a quick case, then perhaps an hourly rate is preferable, but that can be difficult to know at the outset. 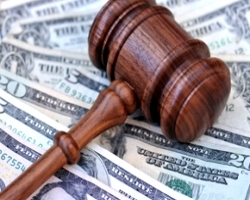 Most attorneys will handle a DWI case on a flat fee basis. This is because they’re familiar with the terrain of the common DWI case and know how long they will be working on it, adjusting their rates accordingly. If an attorney is offering a DWI defense on an hourly basis, there is the strong possibility that the practice isn’t focusing on DWI cases, but is also dealing with other kinds of cases that are usually handled on an hourly basis. It can be far more costly and is generally a negative if an attorney is dealing with numerous types of cases and doesn’t handle DWI as a major part of the practice. With a flat fee in a DWI case, the client knows what is being paid from the start and doesn’t have to worry about receiving a shocking and massive bill for the amount of time the lawyer spent on the case whether there was an acquittal or a conviction.